We help small businesses make a big impression. 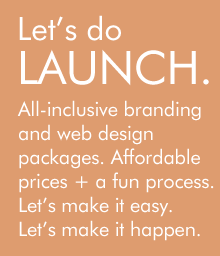 Mediarology is a full-service branding and design agency, the creation of twin sisters Tali and Ophira Edut. For over a decade, we’ve helped independent thinkers, entrepreneurial firebrands and startup ventures create an image that visually expresses their core message. We’ve worked with authors, artists and activists…as well as more left-brained folks who want to make an honest living doing what they love. We’ve created a few brands of our own over the years, including a website that generates over a million pageviews monthly. Our clients have included Chef Mario Batali (we designed the first sites for his famous restaurants Lupa and Otto), bestselling author Emily Giffin (we helped her launch her online presence), and many others. As the authors of several books, and as former magazine publishers, we’ve worked in many aspects of the media. You get the benefit of our experience: we’ll create a site that not only looks good, but that captures the attention of tastemakers, journalists and your target audience. Our belief: Just because you’re a small business doesn’t mean you have to look small. We’ll help you make a big impression on the people you need to reach.